As long as you cut and fold carefully, they’re really simple to make (young children will need a bit of help, especially with cutting out!). But as it’s a little hard to explain just in words, I made a little video tutorial. Just download the .pdf by right-clicking the picture above and selecting ‘save’ or ‘download’. Then print it, and you’re good to go! Show Me Your Mini Books! If you already follow me on any of these, you may have seen me also share my new ‘Isadora Moon Guide to Writing Stories’. I’ll be doing a more detailed post on this soon, but you can download it now here. The books are the perfect size for little Vinetta, who lives in my dolls’ house castle! 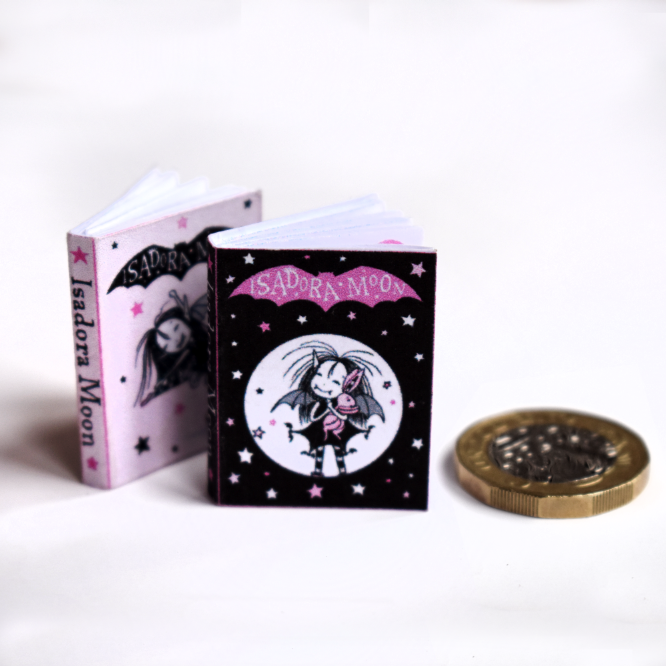 My 8 year old daughter Ruby is obsessed with Isadora Moon, she has all the books and read them twice. She cannot wait for the next Isadora adventure, your books have really got her into reading, thank you so much. The only problem is we don’t have another one to read yet🐰 We are anxiously awaiting news of a new book🧚🏽‍♀️Ruby loves art and fairy’s too, and decorating her bedroom.